Dreams seem so clear when you awaken, only to fade very quickly and become elusive when you try to remember them. 'Dream Stone' is a way to capture these fragile memories. By writing the dream onto Copper shim, it can then be wrapped around a stone and preserved whilst still keeping parts of the dream hidden behind the stone. 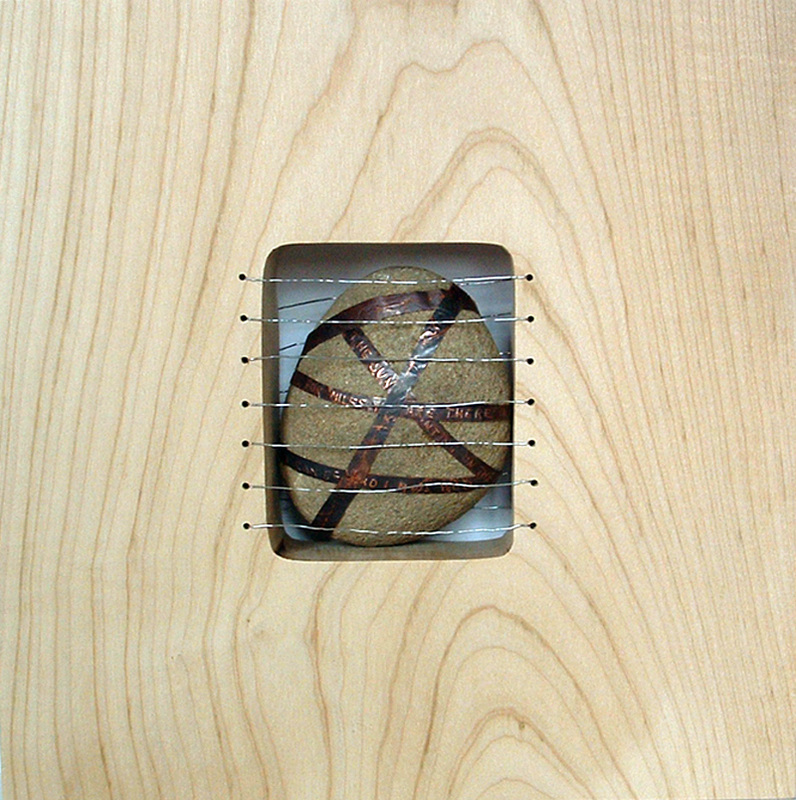 The stone is stitched into the centre hole in the wooden block with wire. I can incorporate your own stone & dream into this collage. Each piece is made to order & grain patterns will change from this image. It is wall mounted.